The Final Stage European Tour Qualifying School (Q-School) event starts tomorrow at the PGA Catalunya Resort near Girona in North East Spain. The Final has been held here since 2008. 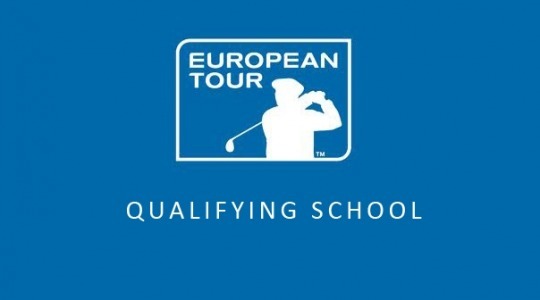 1) The entry fee for the 2014 European Tour Q-School was €1,725 (c.£1,400). All players who compete must pay this sum irrespective of their Qualifying entry point. 2) 737 players entered at the First Stage competing in eight 72-hole events across Europe between 9th September and 3rd October on eight different courses. Each competition had a prize fund of €5,000. 3) Four Second Stage 72-hole events were held between the 7th and 10th November. The field of 293 consisted of 191 First Stage qualifiers and a 102 exempt players who had earned the right to enter the process at this next level. 110 players from Great Britain & Ireland (GB&I) competed in these qualifiers. Again the prize fund for each competition was €5,000. 4) A field of 156 golfers will compete in the 108-hole (6 rounds) Final Stage competition which starts tomorrow. Two courses are used; the Stadium (7,333 yards / Par 72) and the Tour (6,610 yards / Par 70). Prior to the 72-hole cut two rounds are played on each. The final two rounds are played by the leading 70 players on the Stadium Course. 5) All players competing at the Final Stage will be ranked according to their score. The leading 25 players (and ties) are eligible for Category 15 membership of the European Tour (and Category 5 membership of the Challenge Tour) for the 2015 season. The remainder of those making the cut will be eligible for Category 20 membership of the European Tour (and Category 9 membership of the Challenge Tour). Players who miss the cut will be eligible for Category 15 membership of the Challenge Tour. Information on the European Tour membership categories can be found here. The prize fund is yet to be confirmed but last year it was €150,000. 6) 28 different countries are represented in the Final Stage. The standard is high – 29 players have previously won a European Tour event and between them they account for a total of 49 Tour victories. Two players, Phillip Price and Ignacio Garrido have represented Europe in the Ryder Cup. 7) Out of the 156 players 87 were exempt into the Final Stage, 30 players were exempt into the Second Stage and 39 players started at the First Stage. In total 926 players will have therefore entered the 2015 Q-School. As this is the seventh successive year that the final has been held at PGA Catalunya the two courses will be familiar to many of the players. 8) England are the best represented country with 36 competitors. Sweden have 18 players, France 14, Spain 12, Australia 7, South Africa 6 and Germany 5. Scotland 5, Wales 5, Ireland 4 and Northern Ireland 1 make up the home nations. 9) The GB&I competitors are listed below with their entry points. I am particularly interested in the First Stage qualifiers as it is clearly some achievement to successfully negotiate all 252 Q-School holes and to secure a Card. Good luck to all of our players but particularly this group. ~ Zander and Renato are turning Pro. ahead of playing in the Final Stage. To follow the European Tour’s Final Stage Q-School Live Scoring link click here. This entry was posted in European Tour Q-School and tagged Amateur Golf - Other, Challenge tour, European Tour, European Tour Q-School. Bookmark the permalink.